Like we mentioned in our crypt locations guide, Shadow of the Tomb Raider is filled to the brim with collectibles, challenges, and puzzles. 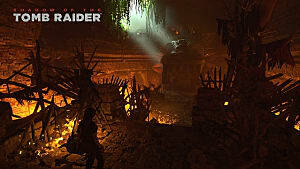 Some of the most intense of those are the game's Challenge Tombs. Each of these Challenge Tombs will test your mettle, with each of them focusing on a specific game mechanic or skill. Some are relatively straight forward and easy, while others might lead to a little bit of head scratching. 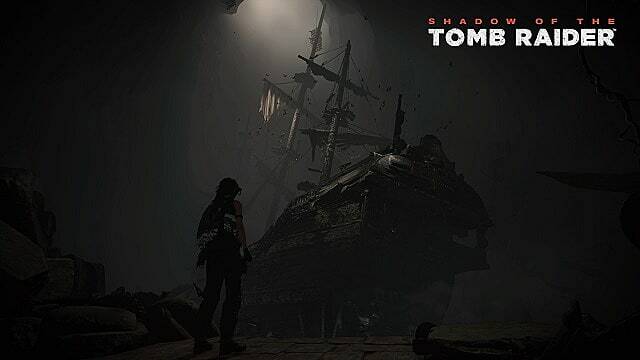 But to get some of Shadow of the Tomb Raider's best skills, it's well worth your time to complete these Challenge Tombs as you come across them. Below, we've put the tombs in an optimal path order. We'll go over the locations for all of the tombs, how to complete each of them, and what skill rewards you'll get for completing them. We've also attached videos for each because sometimes it's just easier to see it than read it. However, keep in mind that every tomb is marked by what looks like yellow paint; follow the markings, and they will lead you to the entrance of each tomb. Judge's Gaze will be one of the first Challenge Tombs available. From the Plane Wreckage basecamp, go toward the lake in front of you (where you first got your supplies when starting in the jungle area). Go right along the bank like you're going to the game's first crypt. About halfway down, turn right and climb up the cliff face. Follow the path through the water and break open the wall at the end with your pick ax. You don't need to grapple across the chasm; you can just jump down into the water below. Swim along and grab the mural in the next area. Turn around and go to the back left of the area. There, jump up on a ledge and then another to your left. From there, jump on the counter weight in front of you to move the idol statue out of the tomb's entryway. Go through and activate the basecamp. Go across the bridge and swim down when you get to the other side. When you surface, go left and climb up the wall. There will be a mural directly in front of you. Once you've got that, go right to enter the puzzle area. When you enter the puzzle area, you'll see two suspended statues on the right and left of the stage. In the middle, you'll also see ruins in the very back and a wooden structure lying on the ground in front of the ruins. Your goal is to raise the wooden structure in the center of the area so it makes a ladder to the top of the ruins. First, drop down from the entrance and go left. You'll see a counterweight on a cart. Pull the cart out from underneath the counterweight. This will raise the counterweight and lower the statue on the left side of the area. Now push the same cart out into the middle of the area as far as it will go. Still on the left side of the area, stand next to the wooden structure in the middle and use your rope arrows to attach it to the statue. After that, move the cart in front of the statue underneath the counterweight you just released on the left side. Climb up the ruins on the left side and follow the path around, minding the spear trap along the way. Jump on the counterweight to lower it and lock it into the cart below. This raises the wooden structure a bit and lets you move to the right side of the area. Push the cart in the middle to the right side of the area and lock it into place. Next, attach the suspended statue on the right to the wooden structure using your rope arrow. Then, use the wooden structure to get back to the entrance to the area. Once there, look to the ruins on the right side of the area and climb up them, gathering the collectibles there. Jump on the counterweight to lock it in the cart below. Now the wooden structure is a ladder and you can climb to the top to get your skill reward: Caiman's Heart. From the Jungle Ruins basecamp, follow the tomb markers along the path. 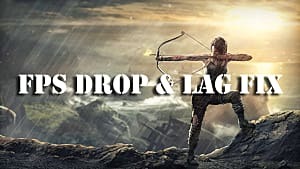 After you climb along the cliff face and pass the first spear trap, make sure to grab the backpack on the left side, just before the big drop off. Once you grab the backpack, turn around and follow the path up toward the right side of the cliff and the trees. Continue along and when you reach the encampment from the "20th Century", go to the tent in the back for a collectible. Keep going and grab the basecamp and collectibles further down the path. Go through the gap in the cliff in front of the campfire and climb up the wall in the back right of the next room. Continue left and you'll come to the puzzle area proper. Note: There's an alcove to the left full of collectibles and resources just before you get to the large puzzle mechanism. This puzzle requires you to move a suspended crate from one side of the area to the other in order to get across. After you see the enemy on the cliff to your right (Lara will say "I know what you are"), go straight ahead and pull back on the lever to open the path forward. Use your rope arrows to create a tether to the cliff with the large mechanism. Go across and follow the path all the way around. Pull back on the lever there to move the suspended crate around to your right. Jump on the crate, then jump to your right and back to the first lever. Push the first lever back to its original position, and use your rope arrows to attach the crate to the rope post on the lever. Now, jump back on the crate and go to the second lever, the one you pulled to move the crate. Push it forward. Quickly turn around and jump on the crate as it moves back to its original position. Once it stops, jump off to the platform below. Go right and grab the mural in the nook in the left wall. Continue along and climb up the cliff face. Be wary of the falling boulders from above. One hit will kill you. At the top, follow the path to claim your prize: Eagle's Perch. Be sure to pull down the wooden barricades to get the gold before you leave. From the basecamp, go right past the exploding barrel. Continue right and go into the jungle. Hug the left side of the area and follow it all the way (through the swampy area and all the wild boars) to the back. Continue along and grab the backpack before crossing the small bridge. After crossing over the little bridge, jump down into the pit and land safely in the water below. Swim to the left, climb up, and follow the path. When the path breaks left, follow it left to miss the huge spike that lies ahead. Continue down to do a lot of rock climbing, rappelling, and jumping. Eventually, you'll come to a large open area full of rabid wolves. The best way to kill them is with the shotgun at close range. Use endurance herbs to slow time (if you have them) to make things even easier. Before you continue toward the tomb itself, make sure to grab the mural in this area. Climb over the fire pit and climb up the cliff face in front of you. In the next area, grab the basecamp to the right of the downed tree that bridges the small gap, then continue on. As soon as you enter the puzzle area, go right and pull the lever by the fire. This will open a billows that will swing the pendulum in the middle of the bridge. Jump on the pendulum and use it to get to the platform on the left side of the area. Once there, use the lever by the fire in front of you to open another billows that will put out the fire on the bridge. Go right and jump across to the bridge. Go right again (rolling through the wind to not get swept off) and go back to the first lever. Push it to close the first billows. This will provide more air for the second billows. Now go back to the bridge and go forward. The second pendulum will now be swinging more. Just before the large blockage in the center of the bridge, go right and jump across to the platform there and continue along to the platform with the fire in front of you. There, turn around and wait for the second pendulum to reach its highest point. Use your rope arrows to pull it toward you and smash into the blockage in the center of the bridge. Go all the way back across and close the second billows or you'll be blown off the bridge when you try to cross it. Once you've done that cross over the bridge where the blockage was and go to the platform on the left. Go to the right of the fire and climb up the wall. Climb around the pendulum stuck in the wall and drop down. Attach the pendulum stuck in the wall with the second pendulum using your rope arrows. Now, go all the way back to the second billows and use the lever to open it. The second pendulum will rip the third pendulum out of the wall. Go back to where the third pendulum was and open the third billows. This will put out the last fire on the bridge. Now you can claim your prize: Huracan's Mantle. From the Wild Jungle basecamp, follow the path from the campfire left, past the tomb symbols. When you reach the deep water, dive down and go through the crack in the wall to the right. Once inside, go left and follow the underwater tunnel through the skull and all the way down. When you surface, climb up the embankment and rappel down to the to the platform below. Make sure to grab the mural and the basecamp here. Continue along and use the lever in front of you to open the path to the upper left. Be sure to not get hit by the obsidian blades along the path. Rappel down again and grab the mural along the path. Press the lever across from the mural, then jump over the obsidian blades and go through the large stone door to get to the puzzle area. When the tower of bladed death rises in the middle of the area, go toward it and follow the path all the way around to the right, making sure to miss the rotating arms as you go. One hit from any of the obsidian blades here will instantly kill you. Jump across to the platform and go left through the stationary obsidian blades. When you reach the end, pull the lever out, which will cause the tower in the middle to fold up its arms. Now, go back down the path you just came from, minding the now-moving blades along the way. At the end, push in the lever to lower the tower. Repeat the same process for the opposite side of the area. After that, climb to the top of the tower in the middle to claim your reward: Sip's Quiver. Starting at the Temple Path basecamp, follow the path up. Climb up the cliff and go through the crack in the wall ahead. Use your pick ax to grapple swing across the gap and then climb along the rock face. Once you get into the temple itself, don't climb up the ladder in front of you yet. Instead, go right and grab the mural. Go back to the ladder and climb up to get another basecamp. From the campfire, follow the path right and then rappel down to the temple floor below (don't jump, you'll die). Climb up the steps in the center to get another mural. Coming down the stairs, the alcove on the right side has some resources, while the alcove on the left will lead you into the tomb's puzzle area. This tomb can be tricky because it requires a lot of backtracking. The goal is to use the mirrors and the light to lower the platform in the middle of the area, as well as use them to make a path to the end. Start by turning Mirror 1 to the left. This will turn a platform. Use this platform to move over to Mirror 2. You can use Mirror 2 to turn the platform to your left, cross it, and grab some collectibles now (as I did in the video), but I would actually wait until a little later. Instead, use Mirror 2 to turn the platform across the area near Mirror 3. Now, go back to Mirror 1. Turn Mirror 1 to the right and turn the platform leading to Mirror 3. Go to Mirror 3 and turn it left. This will illuminate the same platform Mirror 2 is currently illuminating. That's OK.
Go back to Mirror 1, turn it left, and cross over to Mirror 2 just like you did in the beginning. Now, turn Mirror 2 to the right and illuminate the same platform Mirror 1 is illuminating. Go back to Mirror 1 and use it to illuminate the pillar all the way across the area at Mirror 4. Go back to Mirror 2 and turn it left. Go over to Mirror 4 and grab the mural there. Now, use Mirror 4 to illuminate and turn the pillar directly to the left. That will turn two pillars at once, opening your way to the prize at the end of the tomb: Hoatzin's Hunger. From the Temple of Kukulkan basecamp, climb down the cliffs to your left and follow the yellow Tomb markings into the cave. Dive down and follow the underwater tunnel all the way to the end. Go through the crack in the wall and swim up to shore above. Climb up the cliff face and follow the path, making sure to grab the collectible to the right as you do so. When you get to the cliff overlooking the next area, just jump down and follow the path up to the right (along the pallisades/wooden wall). Climb the cliff there and grab the mural along the right side of the path. After the short cutscene, grab the basecamp. Before you continue down, grab the supply cache in the water along the bottom of the cliff closest to the campfire. Jump down and kick the raft to the far side of the area. Use your rope arrows to connect the raft to the gate that's along the wall with the waterfall. Go back to where you first entered the puzzle area and pull the lever. This will raise the water level and open the gate you just attached the raft to. Swim through the gate and break open the wall at the end of tunnel. Go through the crack and swim to the opposite side of the flooded area. Use you pick ax to open the drain along the far wall (it's in the middle of the wall). Now that the area is drained, use your rope arrows to pull down the wooden barricade. Once you've done that, you'll be in the original area. 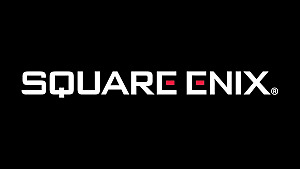 Four enemies will spawn. Take them out and kick the raft into the area you just came from. Go back to the beginning of the puzzle area and pull the lever to flood the area again. Swim over to the raft and use it to reach the opening in the wall. As you go through to the next area, there will be a handful of enemies you'll need to dispatch. After getting rid of your foes, climb up the wall and fight a few more enemies. Before you go any further, stop. You’ll notice you’re above the area with the raft. The temple will be to your left and a large tree with a crate dangling from it will be in front of you. Look to your left to see a lever tucked into the wall next to you. Pull it to raise the water level. Go past the tree and turn around. Wait for the raft to float over -- or pull it if you like. Once it gets close enough to you, turn around and use your rope arrow to attach the raft to the water wheel in the back of the area. Jump on the raft and ride it over to the wheel. Jump up onto the platform by the water wheel and look for the round, rope-covered object hanging in front of the temple. Use your rope arrows to attach it to the water wheel. However, don’t move yet; two enemies will spawn and the easiest way to take them out is from the water wheel platform. They’ll also cut the rope, meaning you’ll have to go back to the water wheel and attach it to the round, rope-covered object again. Once you do that, go over to the tree in the middle of the area, climb up, jump on the crate, and jump across to the temple. Your skill reward is inside: Jaguar's Paw. Go to the Deserted Cloister basecamp in the Cenote. From the campfire, go right through the entryway and climb up the wall. Follow the path and jump down into the water below. Swim toward the half-submerged temple ahead and then dive to follow the tunnel under the water. About a quarter of the way through, before the first bit of trapped air, you can find a Survival Cache collectible on the left side of the tunnel. Surface and follow the path, which will have you climbing a few cliff faces and shimmying along a few walls before rappelling to a ledge. After squeezing through a cave wall, continue and take a right where you see the yellow skulls. Climb up the next cliff face you come to. At the top, you'll find another small body of water; dive down and follow the tunnel all the way down and to the left. Mind the Moray Eels along the way. Eventually, you'll get sucked into a kind of vortex. You'll exit into a larger body of water. When you surface, there will be an embankment directly in front of you. Climb up, scale the cliff face all the way around and you'll finally come to a basecamp. From this new basecamp, go right and climb up. Squeeze through the wall to enter the beginning of the Challenge Tomb. Once you enter, look on the left and right sides of the stairs to find collectibles. Once you've gotten those, find the cart and the cannon at the end of the stairway. Move the cart to free the falconet (cannon). Push the cannon down the slope to smash open the wooden barricade below. Follow the path to the right. Find the raft at the end and kick it into the water. Scale the galleon. You'll be on top of the Captain's Cabin, which you'll need to smash through to finish the puzzle. Before you can do that, head down the stairway to the deck of the ship. In front of you, there will be a mast; to the left of the mast is a lever. Pull the lever back and position the hanging cannon above the Captain's Cabin. Now go to the right side of the ship (if you're facing the lever) and down into the destroyed part of the deck. Swim down and break open the gate with your pick ax. Swim through to the other side of the ship. When you surface, climb the side of the ship to get back to the deck. Here, you'll find another lever identical to the one your turned before. This one won't move, though. Instead, go right and out on the beam (section of mast) hanging over the side of the ship. Climb up the cliff face, go left at the top, and then jump back out to the ship. Go to the mast and use your pick ax to disable the mechanism. Climb to the top of the mast and then jump back over to the cliffs. Follow the path and use your pick ax to grab onto the cliff in front of you. Rappel and jump back over to the galleon. Use the second lever to position part of the mast so it points at the hanging box. Climb the mast and jump onto the box. Climb the next mast and disable the mechanism at the top to drop the falconet through the Captain's Cabin. Go into the cabin to claim your prize: Caiman's Breath II. From the Ruined Tower basecamp, go to the jungle behind the tower. You can either go left or right here. Left takes you to Challenge Tomb #9 (and a fiesty jaguar), while right takes you to the Tree of Life. You'll come to a rusty gate. Go through and up the stairs. At the top, you'll see a basecamp at the end of the path. Grab that and the collectibles there. Now, go through the ruined monastery. Just as you enter, there will be a collectible on a table to your right. Further down, you will come to a wooden barricade on the left and a backpack on the right. Grab the back backpack and then destroy the barricade. Climb down the cliff face and follow the path to another basecamp and collectible. Jump to the cliff face behind the campfire and rappel down. Make sure to rappel all the way down as you can get stuck on the debris above the landing. Keep going down. Eventually, you'll come to an area with stone Olmec head on the left side of the path. A green gas (sulfur) will be coming from its mouth. Use fire arrows to ignite the sulfur and clear the path. Climb up and continue forward. When you come to the large wooden barricade, look to the left to find another Olmec head. Disable the mechanism clogging the sulfur and then ignite it clear the barricade. Moving along, use your rope arrows to make tether to the other side of the chasm; when you land, turn right and grab the Survival Cache. The rest of the path is easy to follow. Get to the end and you'll be in the puzzle area. Use a fire arrow to ignite the sulfur from the Olmec head in front of you. It will push a swinging platform toward you; jump on it and get to the other side. Follow the path until it forks to the right. Instead of going right, go straight and jump over the small gap. You'll find a collectible on the other side. Jump back across and follow the path. Disable the mechanism for the Olmec head on the left wall and prepare for a short fight against the Yaaxil. The shotgun is best for the melee attackers, while an upgraded SMG or pistol is best for the ranged enemies. Take them out and climb up the cliff from where the ranged attackers came from. Follow the path up and left. At the top, look down to where you just were and ignite the sulfur coming from the Olmec head. Just like at the beginning of the area, a platform will swing over to you. Use it to jump to the cliffs across from you. Cross the rickety bridge. Jump on another platform and then climb up another wall. When you get to the top, look to the wall on the left to find a mural. Then go right, following the path up and around. Go all the way to the end and cut the rope holding the swinging platform. Be sure to nab the collectible here. Turn around and go a little way back down the path. Turn right and jump out onto the platforms. On the other side, disable another mechanism on another Olmec head. Prepare for another fight. Use the shotgun on melee enemies and shoot the pot of sulfur on the opposite side to kill the ranged enemies. Jump back across the swinging platforms, but stop at the second one. Turn around and ignite the sulfur to push the platform up to a grapple point. Jump up the cliff. Go along the right side and kill the enemies that come after you. Ignite more gas blocking the way and climb up the cliff face. Cut another swinging platform free and continue along the path, picking up another collectible on the right side. When you get to the end, jump on the first swinging platform and then the second. Turn around and ignite the gas once more. The platform you're on will get stuck in the wall after the blast. Jump down to the newly accessible cliff below and fight the enemies that appear. Follow the path right from the hut and then climb up to the left. Follow the path all the way around. Cross the wooden plank structure at the top and turn left to find your prize once you've crossed over the chasm. You'll get: Kinich Ahau's Boon. From the Deserted Cloister basecamp, which is outside of the Tree of Life Challenge Tomb, go across the jungle area behind the Ruined Tower. Hug the right side and look for a hole in the wall near the jaguar. Go through and follow the path until the fence breaks on the right. Jump down into the water below and go right. Exit the water and follow the path all the way down until you reach another body of water. Dive down and follow the underwater tunnel. When you surface, go left and up the stairs to find a mural. From there, look up and to the right of the large skull in the room. Use a rope arrow to open the drain and empty the room. Next, go into the mouth of the larger skull and go down. After you slide into the water, dive and find the crack in the rock in the wall in front of you. Go through. In the next chamber, stay under the water and cut the rope holding the raft. Surface and use the raft to jump up to the cliff right next to the raft. Activate the basecamp you find there. Climb up the wall to the left of the campfire and enter the puzzle area. Be wary here: the water is teeming with piranha. Climb down to the water and jump across the rafts toward the temple in the back of the area. Since you'll need it later, go ahead and cut the first raft free. Move toward the temple's left side to cut another raft loose. Climb up on this raft and follow the path. When you reach the open square in the back, make sure to grab the collectible and mural here. Turn around from the mural and push the lever near the water's edge. This will drain the area you were just in, exposing a mechanism on the water wheel in front of you. Jump down to the water wheel and use a rope arrow to connect the water wheel to the gate in the front of the temple. Now, go back to the lever and pull back on it to re-start the water wheel. This part is important: only leave the wheel running for a few seconds to bring the water level back up. Quickly push the lever again to move the trough bringing water into the area back to the right side. If you don't do it quickly, the rope will break and you'll have to start over. Now that the gate is up, all you have to do is swim past the piranha and into the temple. Follow the obvious path to the top and claim your reward:Sip's Strike. And that's literally everything you need to know about the Challenge Tombs in the latest Tomb Raider. You can skip all of the Challenge Tombs in the game and still beat the final encounter and boss. However, the rewards you get from solving puzzles in Challenge Tombs make it much easier. 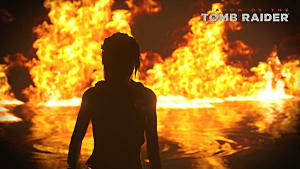 Be sure to bookmark this page for easy recall and check out our other Shadow of the Tomb Raider guides while you're here.